Today’s post is the first ever ‘Guest Post’ to feature on the Are We There Yet? blog. I asked Sarah & Malte if they wouldn’t mind sharing with us the adventure of their time travelling around Oz. 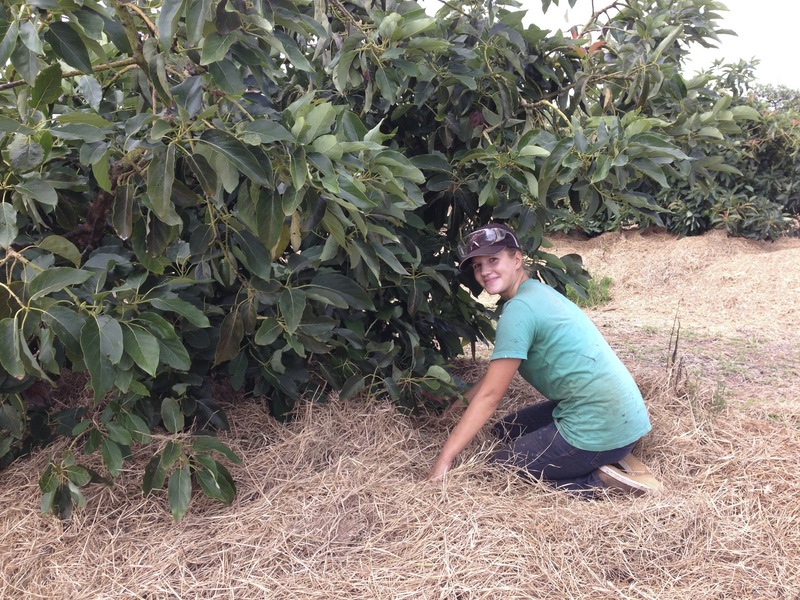 Sarah and Malte were the first ever backpackers to work with us on the farm at Blue Sky Produce for three months last year. They set the bar pretty high for all our other workers going forward. They were two of the most hardworking and lovely people we have ever met! Added to that they enjoyed teaching us ‘Wizard’ – a really fun German card game and then whipping our butts at it!! Lucky they taught us a few German swear words too!! 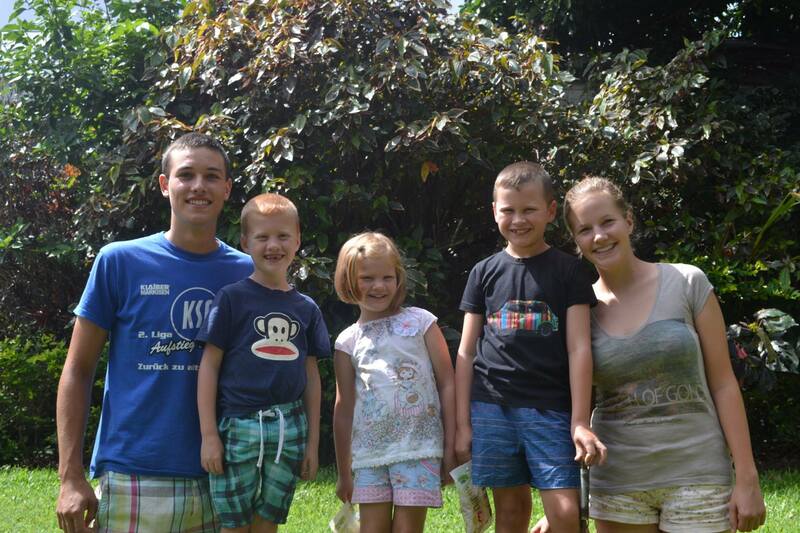 Malte and Sarah are just about to head back home to Germany and we are sad to see them go – they spoilt the kids while they were here at Blue Sky and we loved getting to know them and learn a little about their lives in Germany. They have seen so much during their time in Australia – more then most of us Aussies will ever see!! Thank you Sarah & Malte for sharing your travels here and best of luck for your futures ahead – I hope we get to see you again sometime! 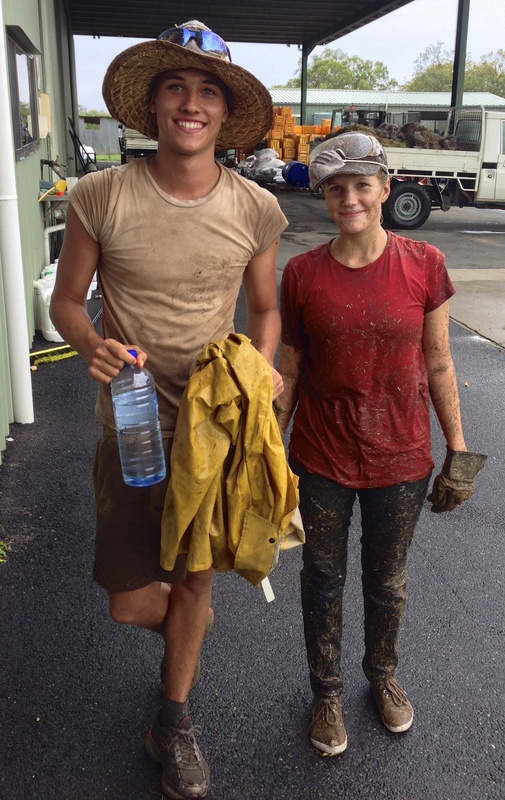 Sarah & Malte after a hard day of mulching at Blue Sky – not the most fun job! I’m Sarah, and my boyfriend Malte and me have been the first backpackers ever to work with Matt on Blue Sky Produce. We’ve been working and traveling our way around Australia in one year and Jess asked me to write a little blog post about that. 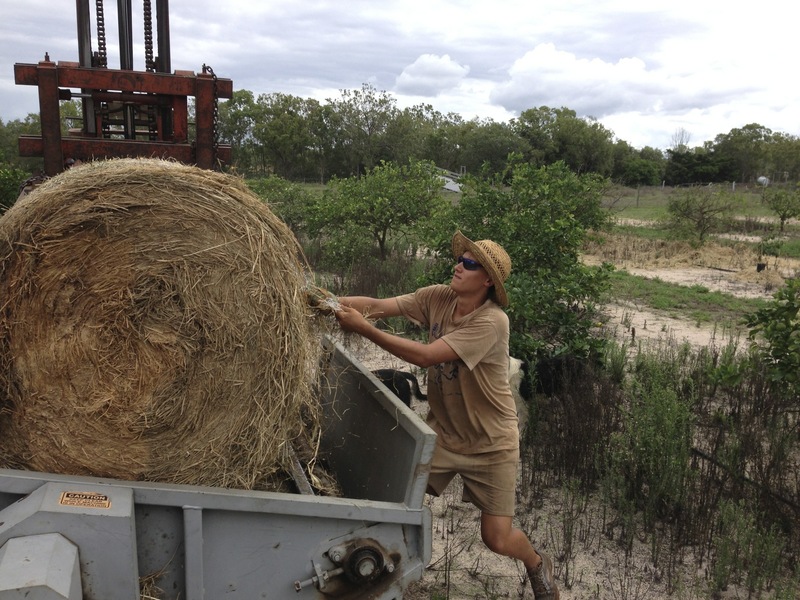 We started in Cairns in the beginning of August 2013 and had four pretty lazy weeks. After that we finally found a car and the job at Blue Sky Produce in Mareeba. 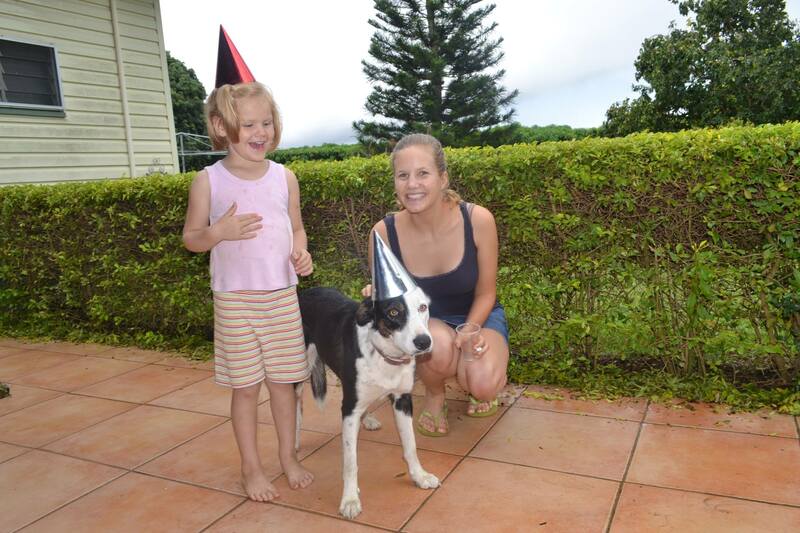 We really loved the time in Mareeba and still think of it as our home in Australia. We’ve been there for 12 weeks and did a lot of hard work, but we’ve also been able to do some really nice trips on the weekends, for example to the caves in Chillagoe, Lake Eacham or the Millaa Millaa Falls circuit. Jess spoiled us with cake and an awesome lunch when we watched the Melbourne Cup together (we didn’t get that in our other jobs 😉 ) and we taught them some german swearwords and our favourite cardgame. On our way to Brisbane we had a look at the Wallaman falls, spent some time in Townsville and we spotted a little platypus in the Eungella national park. South of Agnes Waters we spent a lot of time at the beach, because we didn’t have to worry about stingers anymore. We knew that we’d come back to Hervey Bay with my best friend in March, so we did the rum tour in Bundaberg and drove straight to Port Stephens to meet my family for Christmas. 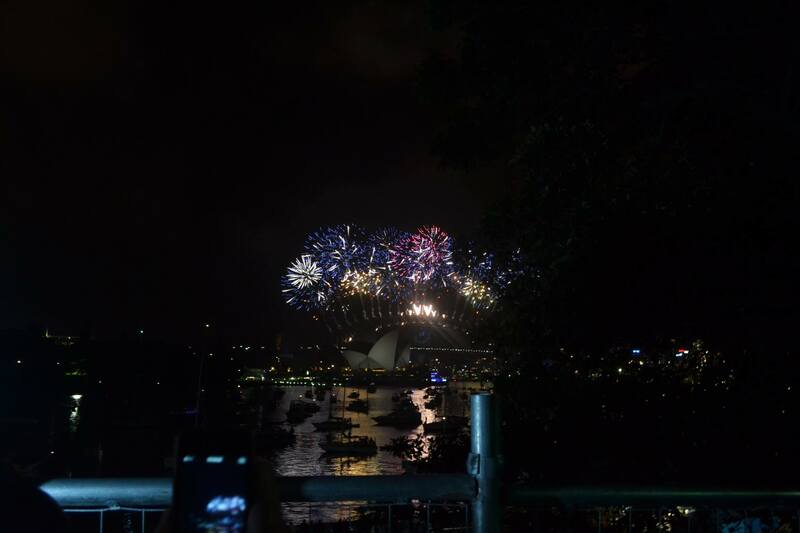 We had a rainy and very unusual Christmas there and went to Sydney for new years eve. After spending some time in Sydney my parents flew to Cairns and Malte and me drove back to the Gold Coast. We spent the last week with my family there and started working in the middle of january. I worked as a waitress in Maroochydore, Malte as a farmhand on a strawberry farm near Caboolture. After two months of work we were finally done with working for our year in Australia and we really started travelling. My best friend from germany, Emely, came to Australia for eight weeks, so the three of us had a nice road trip together. We started in Bundaberg and watched the little turtles hatch in mon repos. 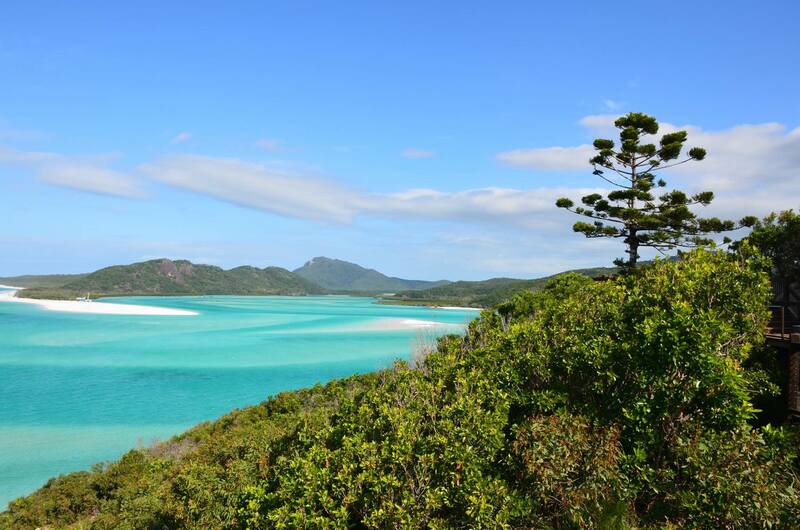 We went on a daytrip to Fraser Island, did a lot of hikes in the glasshouse mountains, fed the dolphins in Tin Can Bay and spent some time in Noosa and Rainbow Beach. Brisbane was our next stop, followed by the Springbrook national park and, of course, Byron Bay. We drove the waterfall way from Coffs Harbour to Armidale and had a look at the koala hospital in Port Macquarie. After the blackbutt reserve in Newcastle we spent a week in Sydney, followed by stops in Jervis Bay, the kangaroo valley, Canberra and the Croajingolong national park. We went to Lakes Entrance next and had a really good time in the Wilsons Promontory and on Phillip island. After one week in Melbourne we drove the breathtaking Great Ocean Road and then to Adelaide, where we had to say goodbye from Emely. Malte and I spent some time in Adelaide to get the car serviced and to prepare ourselves for Western Australia and the Nullarbor. After all the driving on the Nullarbor we spent two days in the Cape le grand national park. The bays and beaches there are one of the nicest we’ve seen in Australia. 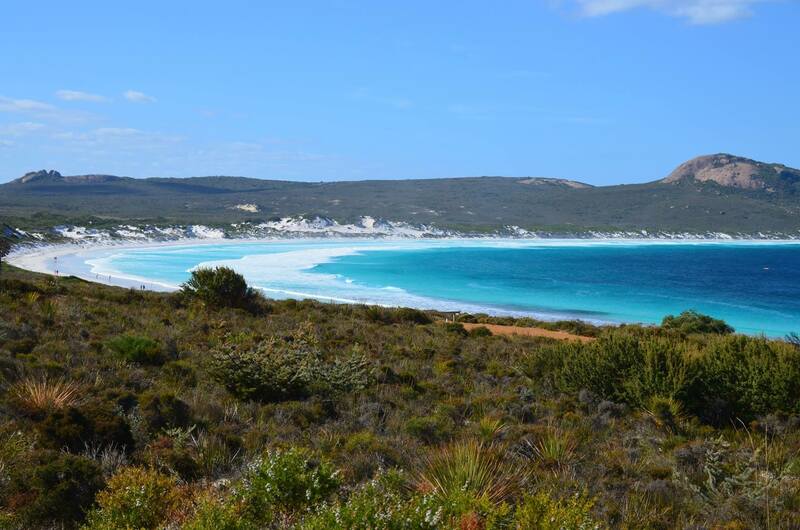 The ocean drive starting in Esperance took us to really lovely beaches as well. Near Denmark we had a look at the green pool and the elephant rocks and then we stopped at the diamond tree lookout. We thought that it is a lookout from which you can see a nice tree, we didn’t expect the lookout to be ON the tree. 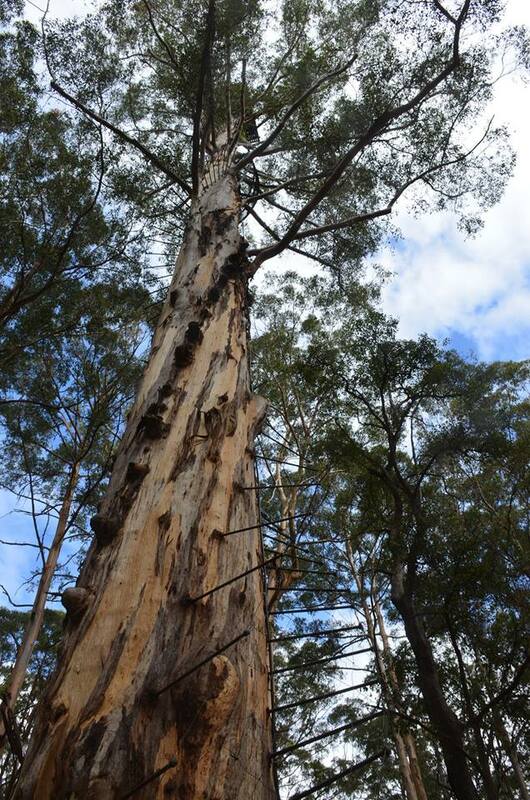 The platform was 56 metres high and you could climb up on huge nails in the tree. That was really crazy, but awesome (we told our parents about that after climbing down 😀 ). It was so nice that we decided to climb the highest tree as well, the Dave Evans Bicentennial tree. It was ‘only’ 68 metres high! 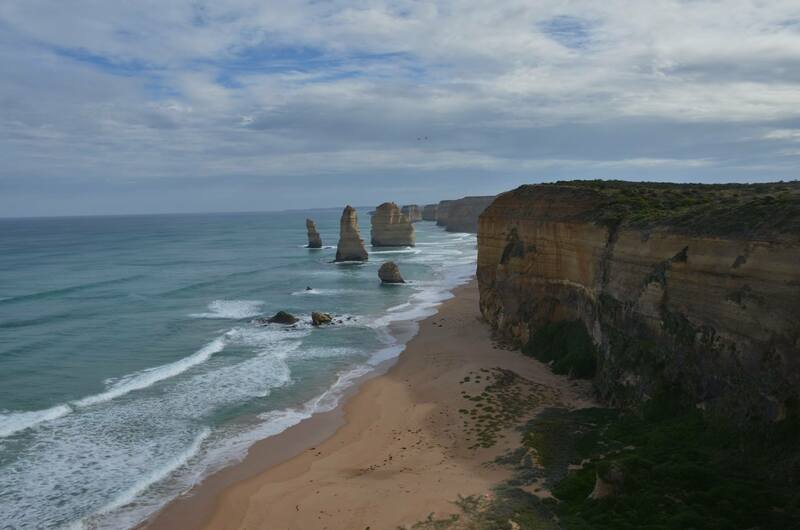 We had really bad weather there, so we didn’t spent a lot of time in this area but went to Perth. After a few days there we had a look at the Pinnacles in the Nambung National Park, saw a pink lake and spent some time in the Kalbarri national park. In shark bay we watched the dolphins with all the other tourists, saw some sharks and had a look at the hamelin pools with stromatolites, the oldest living organisms on earth. Our highlight was the week we spent at the Ningaloo reef in the cape range national park, where we spent the whole day snorkeling. 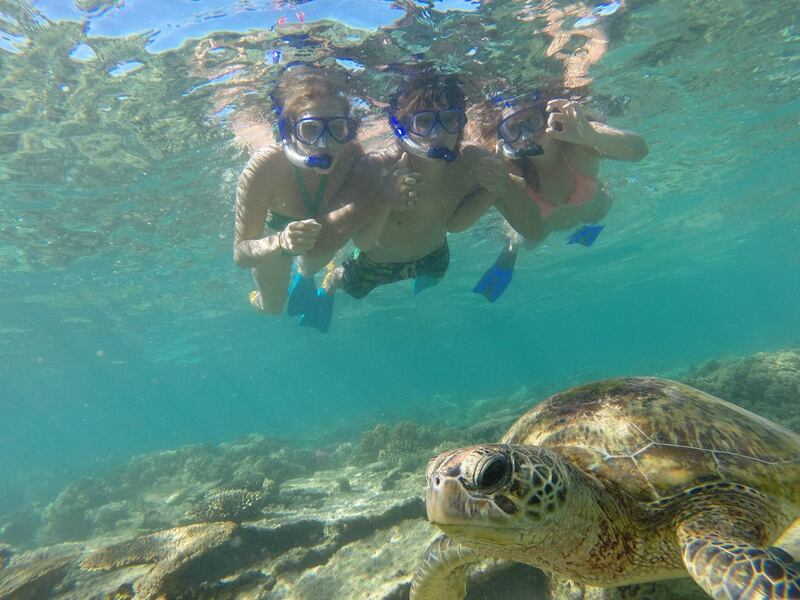 We saw so many turtles, reef sharks and stingrays, it was one of the most impressive parts of our travels. Sadly, we don’t have a 4WD and because we’re under 25 it would have cost us a fortune to hire one, so we have to come back for the Kimberley’s and the Bungle Bungles. 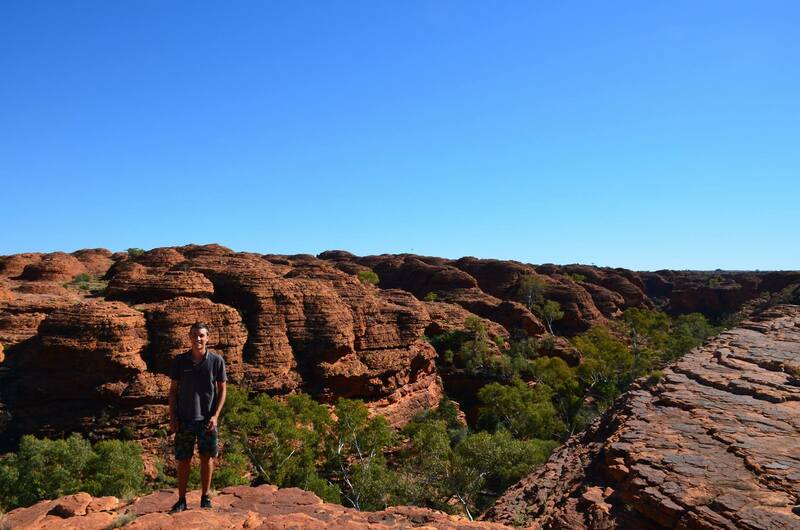 But we enjoyed Broome, Karijini, Katherine Gorge and the Litchfield National park before we arrived in Darwin. Reality caught up on us there, because we had to apply for the university back home and book our flight to Germany. 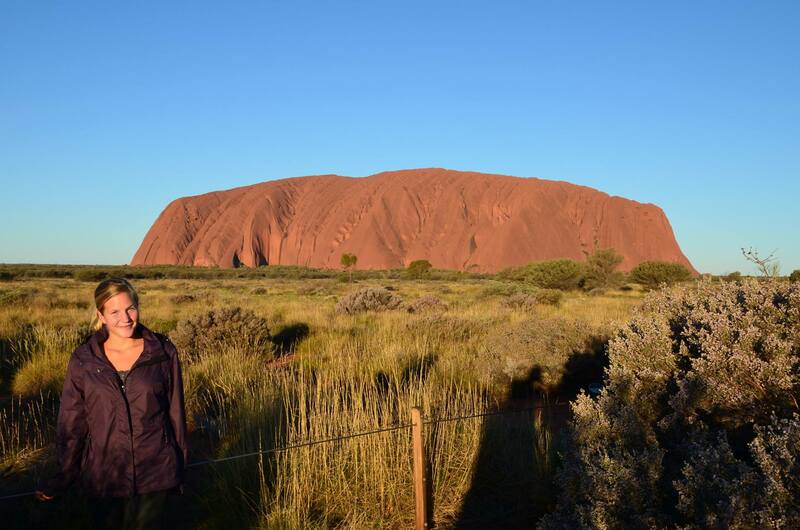 We managed to forget that for a little bit longer on our way to Alice springs to see Uluru and Kata Tjuta. 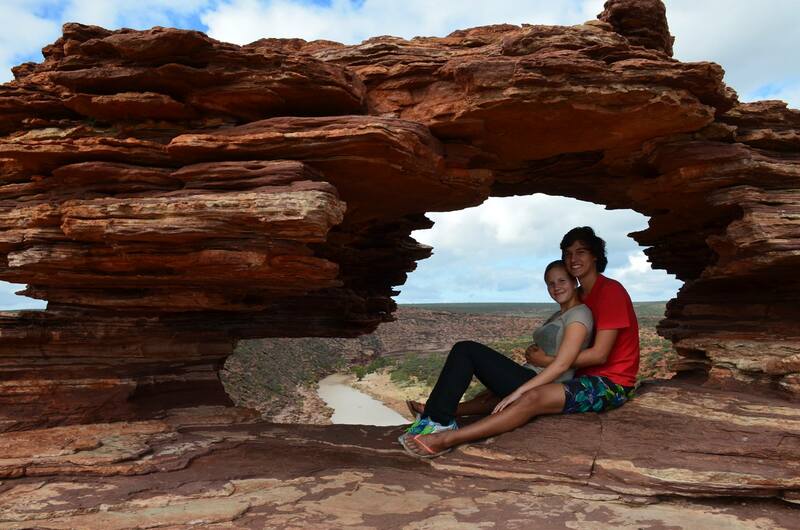 On the way we went for a swim in the Mataranka and Katherine Hot springs, had a look at the Devil’s marbles and visited the West MacDonell ranges as well as the impressive Kings Canyon. Back in Townsville we drove to Airlie Beach and did a three day and three night sailing trip through the whitsundays on the solway lass, our last big highlight. Now we’re back in Cairns and can’t really believe that half a year of traveling is already over and that we’re really flying back home in 18 days!!! That was my pretty long, short summary of our travels! We love Australia and we’re glad that we had the opportunity to travel this awesome country. Thanks again to Matt and Jess for getting us started in Australia, we loved the time with you and your family. A great guest post. 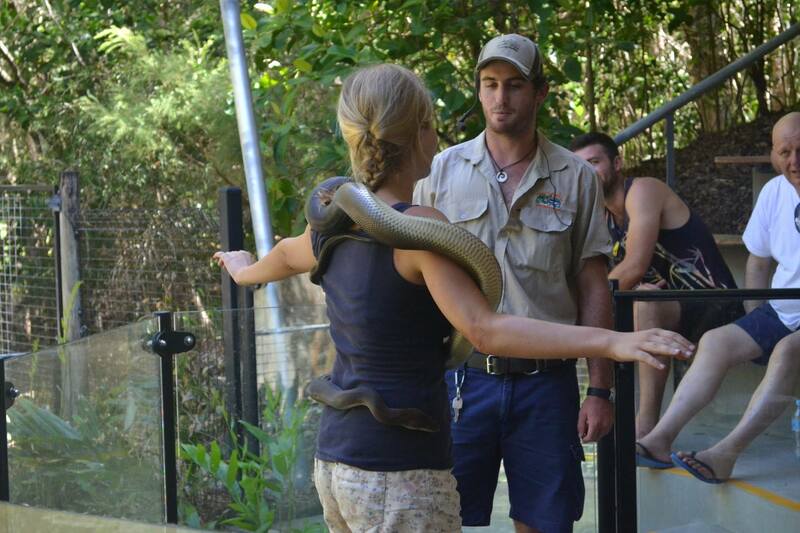 Are they back in Cairns saving for their next adventure? Fantastic report. Thanks for sharing. Wow, what a whistlestop tour!! Fantastic!! Great post! What a great way to sum up the big lap of Oz! Great post!!! Great post! Hope you make it to Tas-Vegas! !